Welcome to Day 19 of our National Craft Month celebrations! We are more than half way through our fun festivities and we hope you have been enjoying all the great projects and giveaways. We hope you love this week’s theme, it’s all about Yarn! And just like every other Project of the Day this month, this one comes with a great prize which is revealed below. We have plenty of giveaways left so keep staying tuned to the blog for your chance to win! Today’s Project of the Day is from our friends at Bernat. 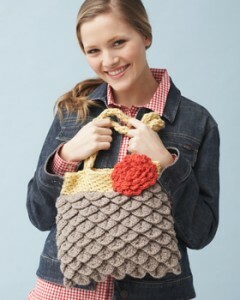 What a fun crocheted bag for the spring time with a beautiful lace like layering at the bottom. Choose your own colors to customize the look to match your own wardrobe. Approx 12″ [30 .5 cm] wide and 10″ [33 cm] high, excluding handles. Sizes 4 mm (U.S. G/6) and 5 mm (U.S. H/8) crochet hooks or size needed to obtain gauge. 13 sc and 14 rows = 4″ [10 cm] with larger hook. Sl st = Slip stitch. Yoh = Yarn over hook. Note: Ch 3 at beg of rnd counts as dc throughout. With larger hook and MC, ch 84. Join in ring with sl st to fi rst ch, taking care not to twist chain. 1st rnd: (Base rnd). Ch 3. 1 dc in each ch around. Join with sl st to top of ch 3. 84 dc. 2nd rnd: (Scales rnd). Ch 1. Work 5 dc down post of fi rst dc of previous rnd. Ch 1. Work 5 dc up post of 2nd dc of previous rnd – beg scale st made. Miss next 5 dc. *Work 5 dc down post of next dc of previous rnd. Ch 1. Work 5 dc up post of next dc of previous rnd – scale st made. Miss next 5 dc. Rep from * 11 times more. Join with sl st to ch 1. 3rd rnd: (Base rnd). Sl st to 3rd dc of next missed 5-dc group of previous rnd. Ch 3. 1 dc in same sp as last sl st. *1 dc in each of next 2 dc. 1 dc between 2 dc of scale st. 1 dc in each of next 2 dc. ** 2 dc in next dc. Rep from * 11 times more; then rep from * to ** once more. Join with sl st to top of ch 3.
with sl st to ch 1. Rep 3rd and 4th rnds for pat until work from beg measures approx 8″ [20.5 cm]. Next rnd: Ch 1. 1 sc in each dc of last base rnd. Join with sl st to fi rst sc. 84 sc. Fasten off . With smaller hook, join A with sl st to any sc. 1st rnd: Ch 1. 3 sc in same sp as last sl st. Miss next 2 sc. *3 sc in next sc. Miss next 2 sc. Rep from * around. Join with sl st to fi rst sc. 2nd rnd: Sl st in next sc. Ch 1. *3 sc in next sc. Miss next 2 sc. Rep from * around. Join with sl st to fi rst sc. Rep last rnd until edging measures 2″ [5 cm]. Fasten off . With larger hook and 2 strands of A, ch 4. 1st rnd: Draw up a loop in 2nd ch from hook. Draw up a loop in each of next 2 ch (4 loops on hook). 2nd rnd: Drop all loops from hook. Pick up last loop worked (4th loop). Working from right to left, insert hook in 1st loop (this will cause a circle to form). Yoh and draw through loop. Insert hook into 2nd loop. Yoh and draw through loop. Insert hook into 3rd loop. (4 loops on hook). Rep last rnd until work from beg measures 18″ [45.5 cm] long. Break yarn, leaving a long end. Thread end through rem sts and fasten securely. With larger hook and B, ch 2. 1st rnd: 6 sc in 2nd ch from hook. Join with sl st in fi rst sc. 2nd rnd: Ch 1. Working in front loops only, 1 sc in fi rst sc. (1 hdc. 2 dc. 1 hdc) in next sc. *1 sc in next sc. (1 hdc. 2 dc. 1 hdc) in next sc. Rep from * once more. Do not join with sl st. 3 petals. 3rd rnd: Do not ch 1. Working in rem back loops of 1st rnd, 2 sc in each sc around. Join with sl st to fi rst sc. 12 sc. 4th rnd: Ch 1. Working in front loops only, 1 sc in first sc. (1 hdc. 2 dc. 1 hdc) in next sc. *1 sc in next sc. (1 hdc. 2 dc. 1 hdc) in next sc. Rep from * 4 times more. Do not join with sl st. 6 petals. 5th rnd: Do not ch 1. Working in rem back loops of 3rd rnd, 2 sc in fi rst sc. 1 sc in next sc. (2 sc in next sc. 1 sc in next sc) 5 times. Join with sl st to fi rst sc. 18 sc. 6th rnd: Ch 1. Working in front loops only, 1 sc in fi rst sc. (1 hdc. 2 dc. 1 hdc) in next sc. *1 sc in next sc. (1 hdc. 2 dc. 1 hdc) in next sc. Rep from * 7 times more. Do not join with sl st. 9 petals. 7th rnd: Do not ch 1. Working in rem back loops of 5th rnd, 2 sc fi rst sc. 1 sc in each of next 2 sc. (2 sc in next sc. 1 sc in each of next 2 sc) 5 times. Join with sl st to fi rst sc. 24 sc. 8th rnd: Ch 1. Working in front loops only, 1 sc in fi rst sc. (1 hdc. 2 dc. 1 hdc) in next sc. *1 sc in next sc. (1 hdc. 2 dc. 1 hdc) in next sc. Rep from * 10 times more. Do not join with sl st. 12 petals. 9th rnd: Do not ch 1. Working in rem back loops of 7th rnd, 2 sc fi rst sc. 1 sc in each of next 3 sc. (2 sc in next sc. 1 sc in each of next 3 sc) 5 times. Join with sl st to fi rst sc. 30 sc. 10th rnd: Ch 1. Working in front loops only, 1 sc in fi rst sc. (1 hdc. 2 dc. 1 hdc) in next sc. *1 sc in next sc. (1 hdc. 2 dc. 1 hdc) in next sc. Rep from * 13 times more. Join with sl st to fi rst sc. Fasten off . 15 petals. Join bottom edge: With larger hook, join MC with sl st at bottom edge. Working through both thicknesses, work 1 row of sl st across bottom edge to join. Fasten off . 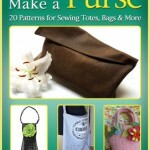 Sew Handles and Flower to top of Bag as shown in picture. You can watch a step-by-step video tutorial for this pattern at the Bernat Video Library! 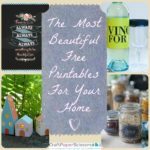 Like I mentioned earlier, we’re giving away a prize every single day of March, right here on the blog for National Craft Month. It’s so easy to enter; just be sure to check back each day for our Project of the Day post like this one to comment to enter! You have 31 chances to win and a new special prize each day. Contest closes March 22, 2012 at 11:59p CST. What day of the week do you feel most crafty? Bella Yarn has just been released by Bernat and, in my opinion, is the softest yarn I have ever felt. Not knowing about this yarn, I saw this Mobius (Infinity) Scarf using this yarn and I thought at first it was a real piece of fur. Obviously being where it was, I knew it must be a new yarn that is deceiving. I cannot emphasize enough how amazing this yarn is to the touch. I have seen soft yarn before in the eyelash format but usually it can either be rough to scratch the skin or be stingy that you can obviously tell it’s yarn. You can knit or do a fabulous tie knot scarf with this. I have to admit though, crocheting would require a bit of patience to find the stitches. I could see a fantastic scarf or even do a throw pillow idea with this yarn. Clara by Bernat has also been just released and can be found in limited stores as the distribution of this new yarn line picks up. Clara is considered a bulky yarn. It is available only in variegated colours but the colour trending of all of the different options is certainly up to date and extremely modern. If you ever corked or spool knitted, you will notice this yarn appears to be the identical version of the spool knit look. This technique of manufacturer makes the yarn bulky but without the weight, soft to the touch and not easy to tangle. This yarn can be crocheted, knitted, macrame and even knotted. I have seen this yarn made into a really amazing scarf where it’s done like a typical knot scarf. The ends are braided together instead of hanging on their own. This yarn comes as one big piece unlike other new yarns that Bernat has just released. 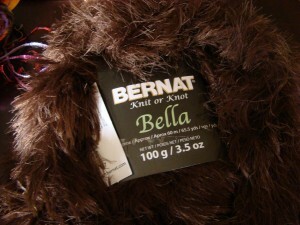 You can always find this yarn at shop.bernat.com if you would like to find this yarn online for purchase. Join Mikey Live On December 3rd, 2011 at Bernat’s Factory Outlet (Spinrite) in Listowel Ontario. 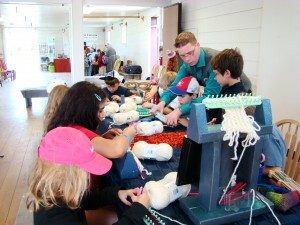 Mikey’s back at Bernat (Spinrite Factory Outlet) on December 3rd, 2011 between 10 am – 3 pm. This is when Mikey will be hook’n up a storm and creating a fun atmosphere. We laugh, share and connect with others who are totally into the fibre arts. This time, bring your size J or 6.0 MM crochet hook or you can buy one at the store if you forget. 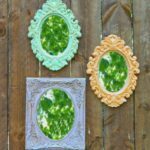 We are going to be playing with a quick project idea that you can make for yourself or even better, whip it up for a loved one for a Christmas gift! I’ve never taught crochet at Bernat and this will be my first opportunity. You can either watch and learn or buy a ball of yarn and begin immediately with me. You will be able to see all the products made for AllFreeCrochet’s 12 Crochet Gifts of Christmas at Bernat. This is a free workshop event. Watch for Bernat’s Flyer for exact details and what December’s sales are going to be! 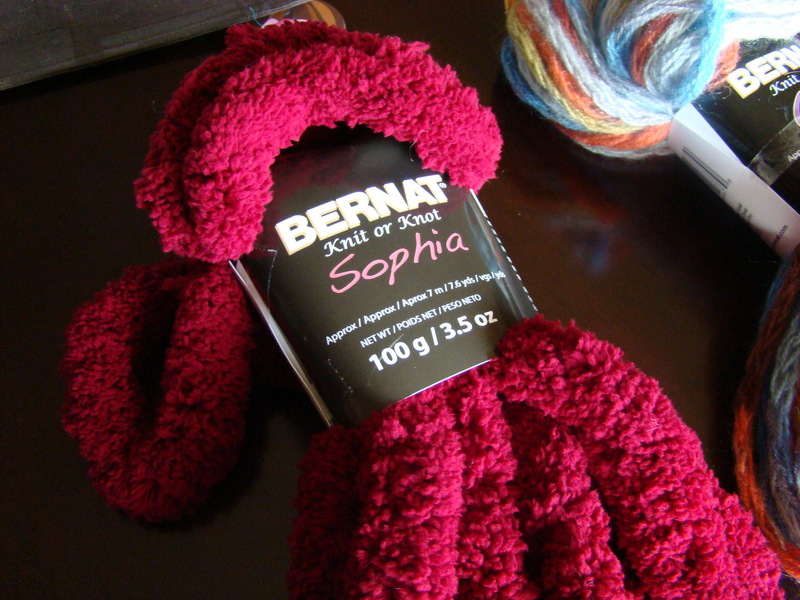 Sophia is one of the newest yarns by Bernat that has just been released. This is a yarn line that I think will be the most challenging to the average person. What can you do with this yarn? How can you accessorize this with you wardrobe? I think it can easily be answered by doing a bit of research. 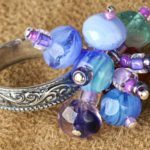 This yarn is exceptionally thick and doesn’t require knitting needles or crochet hooks; you can just hand crochet with your fingers or even finger knit this. I could actually do nautical knots with this yarn and it would still turn out amazing. The yarn is so thick that you don’t get a lot to work with. However, you still get a good amount to make an amazing scarf. Take a peak at knitorknot.bernat.com for free patterns and video tutorials to follow along. 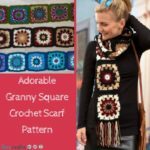 You can find more product specifics at shop.bernat.com and more free crochet patterns at AllFreeCrochet. 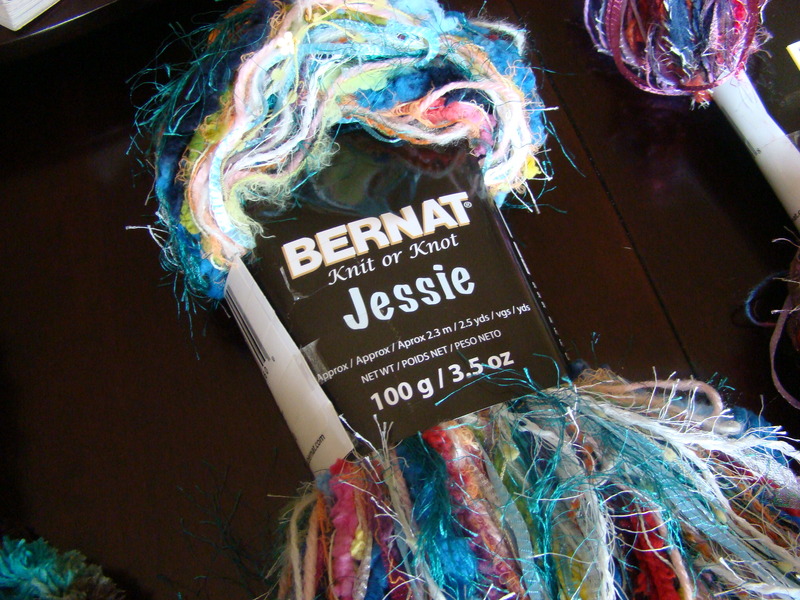 Jessie has just been released by Bernat and is one yarn line I am completely over the top for. It’s a delicious mix of unique yarn fibers that are hard to locate. You can knit, crochet, macrame or even knot with this yarn to make scarves. This yarn comes in strips that are cut about eight feet long and is wrapped in a way that it doesn’t tangle; you just have to take it off the package and lay it out. There are three ties that are holding this into position. Why I jump up and down in excitement is the fact that retailers usually have afghans that are decorated with fibers. I kid you not, I think most of the inflated price is due to add on fibers. I have attempted to duplicate this, but finding the right colour mix and really interesting yarns is extremely difficult to find and usually expensive. This Jessie Yarn gives you opportunities to be able to duplicate high end afghans for only 10 dollars. I think this is brilliant. Bernat has just launched a new website on operating this new yarn. It has new patterns and video tutorials to follow. 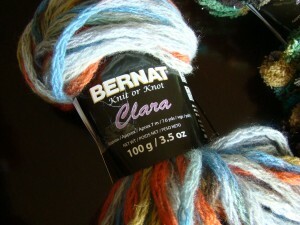 You can find this at knitorknot.bernat.com. You can find this yarn in selected stores as the distribution of this yarn builds across North America or you can find it online at shop.bernat.com. Be sure you check out the Bernat projects on our site too! 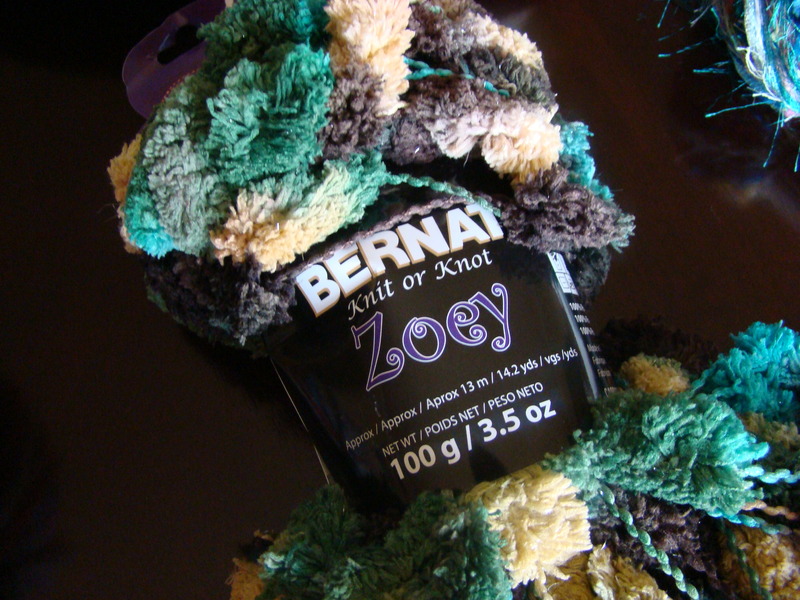 Bernat has released Zoey Yarn Line. My admiration to the designers of Bernat for pushing limits and pushing yarns out of the perception that the fibre arts is an “Old Lady” hobby. The new yarn line is big, bold and beautiful. Zoey is a huge version of Pom Pom yarn, manufactured in the latest trending colours which turns this complete yarn line into a modern trend winner. The color you see posted here is not only what you see, there’s some minimal gold glitter yarn with the pom poms which gives this a shimmering look. Not only will your friends think you are a super star with the shimmering effects, but the yarn will also bring attention because of the light reflecting on the gold shimmering yarn. Bernat has recently launched a new website that is featuring written tutorials and video tutorials for this new yarn line. Check out the KnitorKnot Website by Bernat. With this product you can knit, crochet, macrame and even tie knots. Even some nautical knots could be interesting with this particular design. 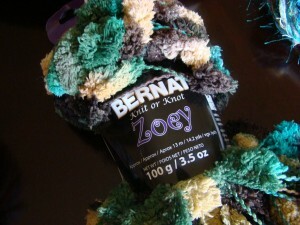 Look for this yarn online at shop.bernat.com or even at a retailer near you. Be sure you check out all the projects by Bernat on our site! Twist & Twirl was added to Bernat’s line up of yarn on September 1st of this year; available in 7 different colours. There are a few advantages to this yarn that I really like. You can see the colour swatches to see all the different colour combinations that are available. I think the colours are super modern and trendy. Most people can’t envision the yarn being done up in the way that makes it very desirable. 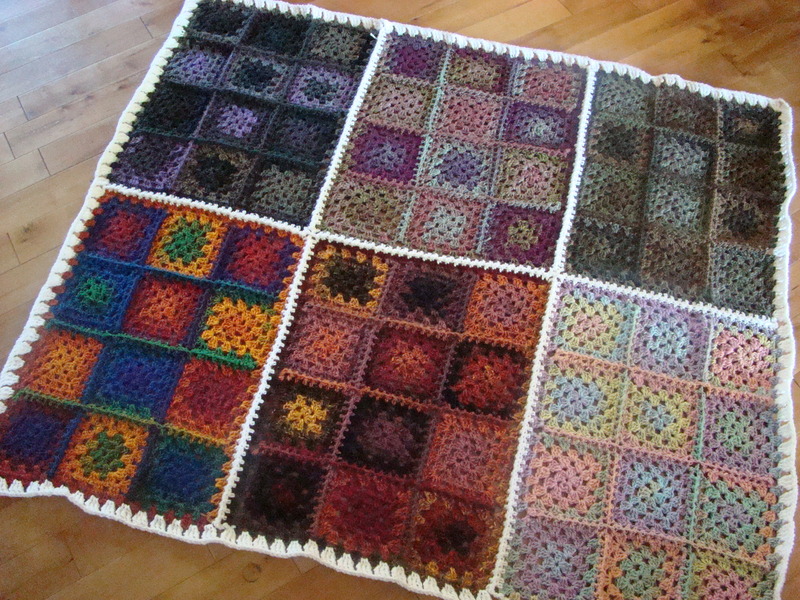 Once completed, the scarves look extremely random and unique to themselves. Using Bernat’s distribution power, they have brought this yarn line to market that is comparable, if not, cheaper to the end consumer. Knitting with this is much simpler than people realize. Learn with this AllFreeKnitting video on how to use it. Finally, I love how the designers have provided enough yarn in the ball that you don’t need to buy extra. I find most patterns on store shelves force you to buy 2 balls. Usually using 1 full ball and then a very small portion of another ball. With Twist & Twirl one ball equals one completed full size scarf. This makes the consumer only have to buy just one for each scarf they want to make. 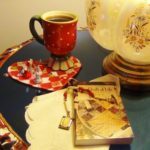 For more inspirational knitting patterns, see AllFreeKnitting.com. 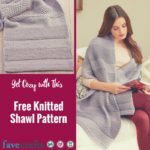 1000’s of great free patterns by designers and enthusiastic knitters. New to the stores shelves is Bernat’s newly released yarn called Twist & Twirl. It comes as a 100 g ball and one ball can make 1 scarf. This yarn can be deceptive on how to use it. Let me show you how to operate this yarn. Cnce you get into the groove of understanding how to use it, it will whip up a scarf in about 2 – 3 hours. Here is an exclusive look at a tutorial using this this yarn. Enjoy the fancy colours and this yarn is reasonably priced considering it can make a generous size scarf. Once you understand this yarn, you can go see AllFreeCrochet for more ideas because maybe you can use it for other things that hasn’t yet been thought of.